The VET staff mentor e-learning brings added value at EU level through results that would not be attained by activities carried out in a single country. Knowledge are extensive, of good quality and must be considered to go beyond deliverables regularly produced by participating organisations. Positively the project relied on an experienced and well-formed consortium in which staff from individual partners contributed to development of the intellectual outputs. Positively credible plans for sustainability exists and the online VET staff mentor e-learning can be applied across other vocational areas, says Erasmus+ evaluator. You who are interested in vocational training experience, find below valuable information, good tips and successful examples from the automotive industry. 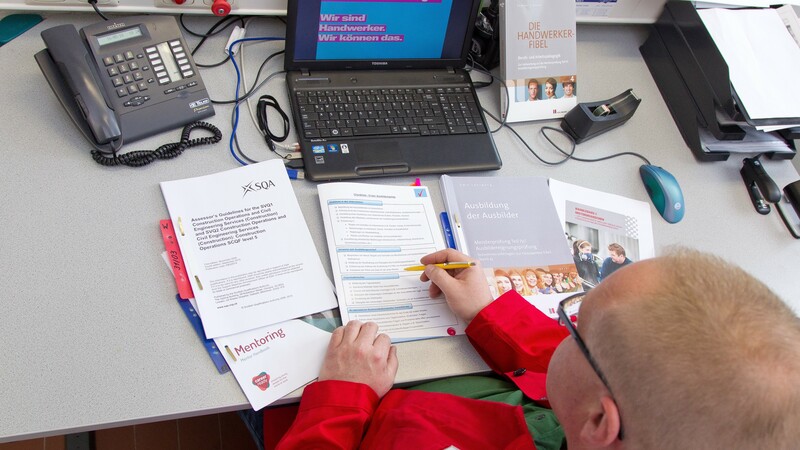 Benchmarking of mentors’ manuals for work-based Learning.